I really love cars. Like, seriously I love cars! They’re awesome. Even bad cars are appealing to me! Whether they are buying and modding a car, traveling to car shows, talking about cars, drawing cars, or going to motorsport events automotive enthusiasts invest a lot of time, money, and even emotions into their love of cars. 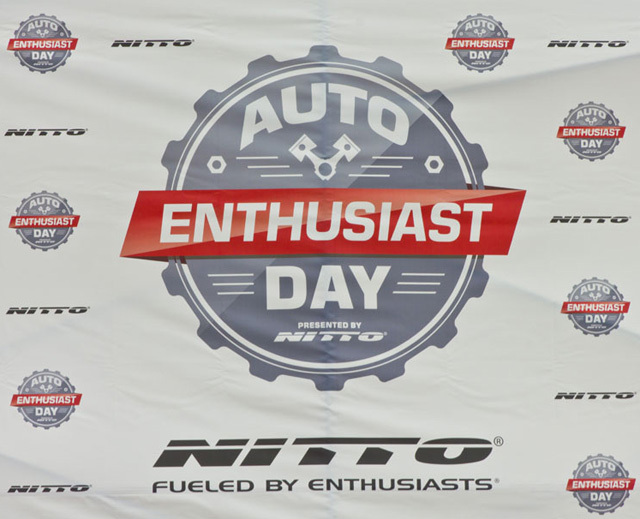 So, its really cool to see enthusiasts get rewarded just because their enthusiasts, which is exactly what Nitto Tire did over the weekend when they hosted their second annual Auto Enthusiast Day at Angel Stadium in Anaheim, CA. There was a ton of cars of all different sizes, makes, models, and styles along with plenty of vendors and even a drift demo featuring Nitto drivers Vaughn Gittin Jr., Matt Powers, Chelsea Denofa, and Odi Bakchis. Nitto Tire provided all this for FREE to anyone who showed up! No admission required! They even did one better and collected toy donations for the “CHIPS for Kids” foundation! Sure, the weather was muggy and magnificently humid but it didn’t matter. This was all about a bunch of people coming together who share a common interest and having a good time. If you didn’t make it out this year I would highly recommend going to the event next year but in the meantime you can check out our event gallery below!